The only son of George I spent his early years in Hanover and married Caroline of Brandenburg-Ansbach in 1705. In 1714 he came to England with his father and was created Prince of Wales. 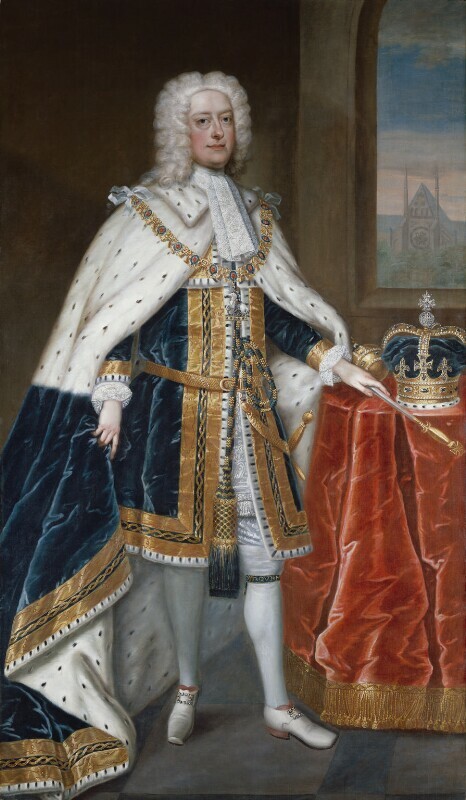 This coronation portrait is a version of that commissioned by the Corporation of London after the coronation in 1727. The king stands before a window through which there is a view of the north transept of Westminster Abbey. More detailed information on this portrait is available in a National Portrait Gallery collection catalogue, John Kerslake's Early Georgian Portraits (1977, out of print).